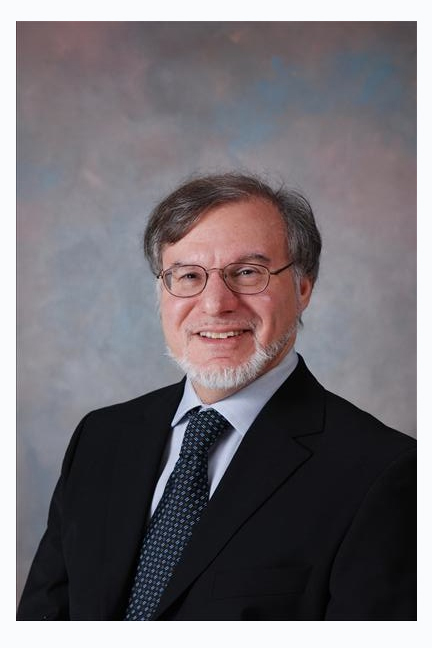 You are invited to the 2013 Alumni Tea hosted by Department Head Dr. Mike Gold. This summer we will be engaging in a departmental “strategic visioning” process to assess what we are currently doing and where we would like to be in 5-10 years. What I learned in a leadership class is that a good way to start this discussion is to generate a 1-sentence mission statement that encompasses the unit’s overall goals, and then use this as the starting point to articulate the department’s core values, its raison d’être, and what makes it unique. So here’s my attempt at a department mission statement: “Training people to think big about small things and to think globally about big questions”. The small things are the molecules, cells, microbial communities, tissues, and organs that we study in detailin order to understand the mechanisms underlying important biological, health, and environmental issues. Thinking globally implies both high-throughput “big data” approaches to science but also considering the social context of what we work on, whether it is aimed at improving human health or improving environmental quality. But the key words in this mission statement are “training” and “people”. All of our departmental activities share the goal of preparing our undergraduate students, graduate students, and post-doctoral fellows to make important contributions to society, to research, and to training the next generation after them.And what I think makes Microbiology & Immunology unique is our undergraduate programs’ small-program camaraderie within the context of a major university and all its resources, the quality of our graduate program and research labs, and most importantly, the outstanding community-spirited efforts by so many people in our program. Multiple events this year really highlighted this for me. 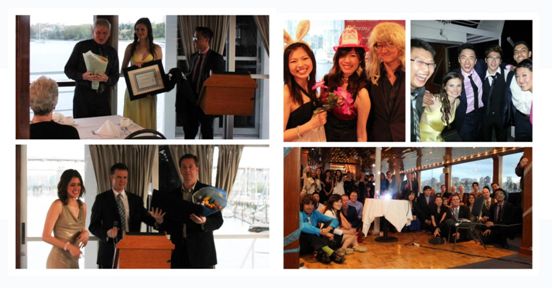 A couple of weeks ago, a number of us faculty members had the pleasure of attending this year’s MISA spring graduation banquet, which was a wonderfully fun 4-hour cruise on a party boat. For me, the best part of the evening was seeing how our group of undergraduates had bonded with each other to create a supportive network of close friends who clearly enjoy each other’s company (and like their profs!). Building this “community” of students was certainly facilitated by the long hours that this cadre spent together in our lab courses, their interactions in our capstone discussion courses, and the many outstanding social, academic, and outreach events that this year’s MISA leadership organized. Much credit goes to this year’s MISA Executive, especially Tim Jayme who received a 2013 Faculty of Science Achievement Award for his many efforts. A very well deserved Faculty of Science Achievement Award was also awarded to Darlene Birkenhead, our graduate program coordinator. Darlene has been a fantastic source of support for all of our graduate students, who number nearly 100 at any one time. She provides our graduate students with invaluable advice and personal support. The exceptional efforts by our faculty members to develop novel teaching approaches that enhance the student experience were also recognized this year with both Joanne Fox and Steven Hallam being awarded UBC Killam Teaching Prizes. As well, faculty members in our department were recognized for their research contributionsand thi impacts of their research on society.Julian Davies received the Abbott-ASM Lifetime Achievement Award, the American Society for Microbiology’s premier award for sustained contributions to microbiology. Bob Hancock was awarded the Prix Galien, which recognizes outstanding achievements in pharmaceutical research and development by a Canadian, and both Bob Hancock and Brett Finlay received the Queen Elizabeth II Diamond Jubilee Award for service to Canada. On a personal note, I received a career achievement award from the Canadian Society of Immunology and had the great pleasure of giving a keynote lecture at this year’s meeting. It was a great honor and great fun to tell many amusing stories and to provide a retrospective on the work that my lab and I have done over the last 30+ years. Absolutely the best part was having the opportunity to invite present and former lab members to join me for this event, with more than 20 being able to attend for a lab reunion. I enjoyed introducing different generations of the lab to each other and watching my former graduate student being nervous while her graduate student (my scientific grandchild) gave a talk. Most all, it really drove home to me that the award was not so much about me but that it was to, and for, all the people from my lab. The award was “to them" because they had done most of the work and “for them”, because they are my most important accomplishments. communicate with one another. 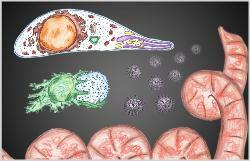 Cytokines influence the size, speed and quality of an immune response. They are critical to the coordinated action of the immune system, and inappropriate and persistent cytokine signals are hallmarks of chronic inflammatory disease. Our research aims to uncover how far cytokines can spread through the body in time and in space, which cells they affect and how target cells control their response. Cytokine signalling has long been thought to be very tightly restricted, requiring the producing and the receiving cells to be in very close proximity, if not direct contact. The image is like a schoolgirl whispering a secret message right into her friend’s ear behind a shielding hand. In contrast, our data shows that T cell cytokines can permeate a lymph node and signal to almost every cell therein, like a teacher with a megaphone screaming instructions across the playground. lymph node at that time for other reasons, the innocent bystanders. They too receive the full impact of the cytokines’ instruction. Because these bystander cells are the principle players of other, unrelated immune responses, such bystander signalling provides a mechanism for the ability of one immune response to affect another, and to cause chronic and escalating inflammatory disease. By studying the regulation of these signalling patterns, our lab is contributing to new treatment strategies for chronic inflammation such as allergy and asthma, and for co-infections in Canada and across the globe. 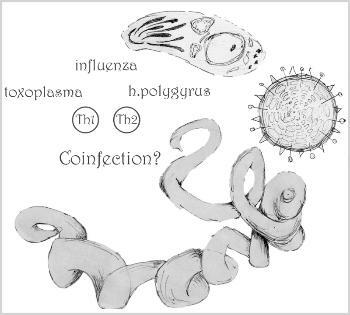 Pathogens rarely work alone – influenza virus kills through bacterial pneumonia; tuberculosis is cruelly exaggerated in people with HIV/AIDS - and our studies of concomitant infection have significant health implications. And, I’ve learned, not just in sheep. Using the foundation that was laid before us from last years Microbiology and Immunology Students Association’s (MISA) team, we set forth to build and continue the legacy and provide one of the most engaging, meaningful, and memorable experiences for our students. This year, through many of our continuing events and new initiatives whether on the social or academia side, we meant to inspire and provide the opportunity for students to get involved in the community and get to know their peers. It is very evident that our MBIM and MISA community is deeply rooted in the friendships that are made throughout the years and these friendships are long lasting. A huge goal of ours was to ensure a strong social media presence. Starting with our completely revamped webpage that is as interactive and personal as we can get, you will find all the information you need about us and our events and exactly what we have to offer at ubcmisa.org. Furthermore, with over 600 likes on facebook, (facebook.com/ubcmisa), and your ability to follow us on twitter @ubcmisatweets, you can keep up to date with everything that we are doing. We have our own Youtube and Vimeo channel under the name ubcmisatube, where we film and edit many of our events. We have had over 8000 people view our videos and share in our experiences. Watch us compete in many of the UBC REC games, watch MISA’s jam sessions in the student lounge, or watch our own funny spoof videos. Check out our channel and see for yourself. Our students’ year begin on Imagine Day and MBIM’s orientation. Students – please take advantage of this eventful day. Ranging from lab tours, to meeting your professors, to meeting the wonderful MISA team; there is no shortage of opportunity here to start getting involved! Be sure to sign up for your MISA membership and take advantage of the perks that come with it. Our social events included MISA’s Welcome Back BBQ, MISA’s 1st annual Welcome Back Paintball Event, MISA’s Halloween Bowling, MISA’s James Bond Movie Night, MISA goes Skating, MISA goes Fishing, and MISA’s Year End Pub Crawl. These events were in many ways the catalyst that bonded our students together…covalently. NERD PARTY thrown in science history. Over 250 nerds across the faculty of science, for 4 hours in Abdul Ladha danced and showed that nerds definitely know how to throw and have a party! Check out our promo videos on our youtube channel. You’ll be in for a treat! 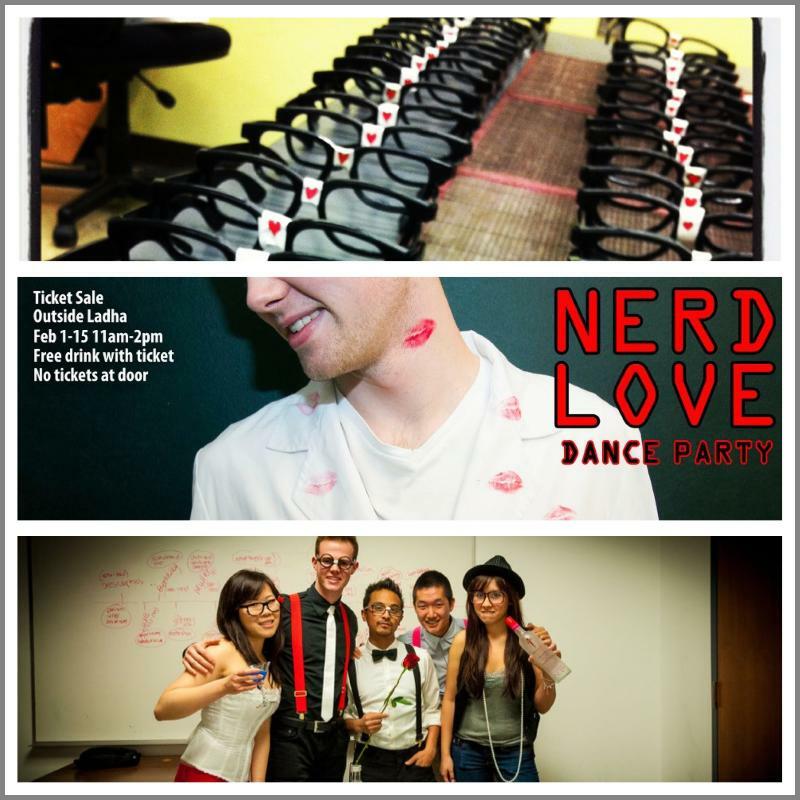 NERD LOVE is now officially Sciences reading break Friday night kick off. Keep that in mind. We sold out fast, so for students next year, you’ll want to get your tickets ASAP! 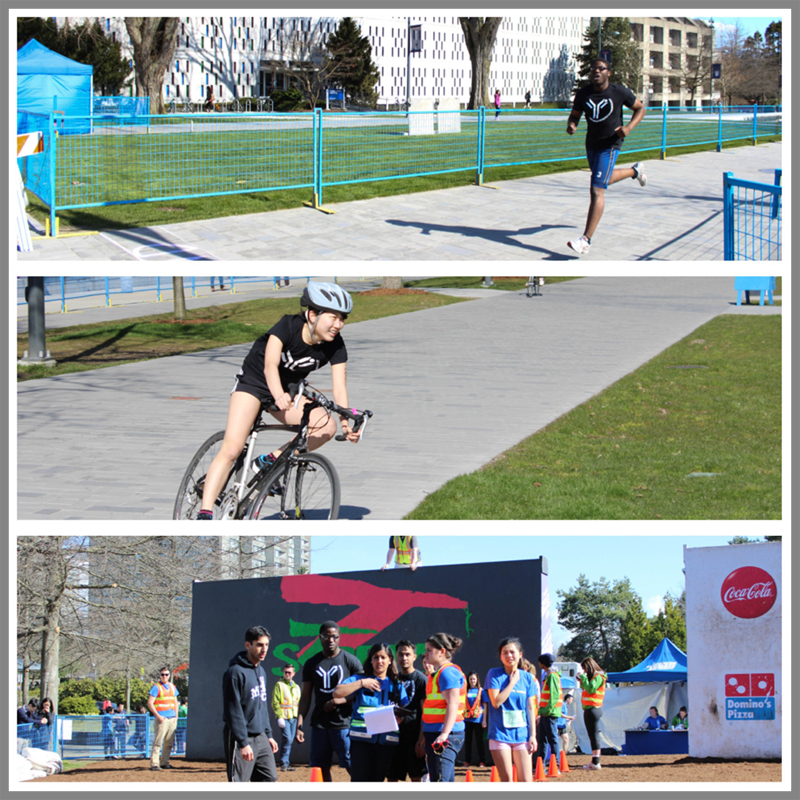 At many of UBC REC’s sporting events, our nerds showed just how athletic and competitive they are! MISA’s Contagious Canoers rowed their hearts out and placed third in their division at UBC REC’s Day of the Longboat. MISA’s Cytokine Stormers and MISA’s Wildtypes battled gloriously at UBC REC’s Gladiator which saw MISA’s Wildtypes finish fourth in the division. Finally, MISA tested will and power at UBC REC’s Storm the wall and our MISA’s Fermentation Station and MISA’s Cytokine Stormers could not have made us more proud. Students - join our MISA REC teams and gain an unforgettable experience as you rise up in glory and battle amongst the best. 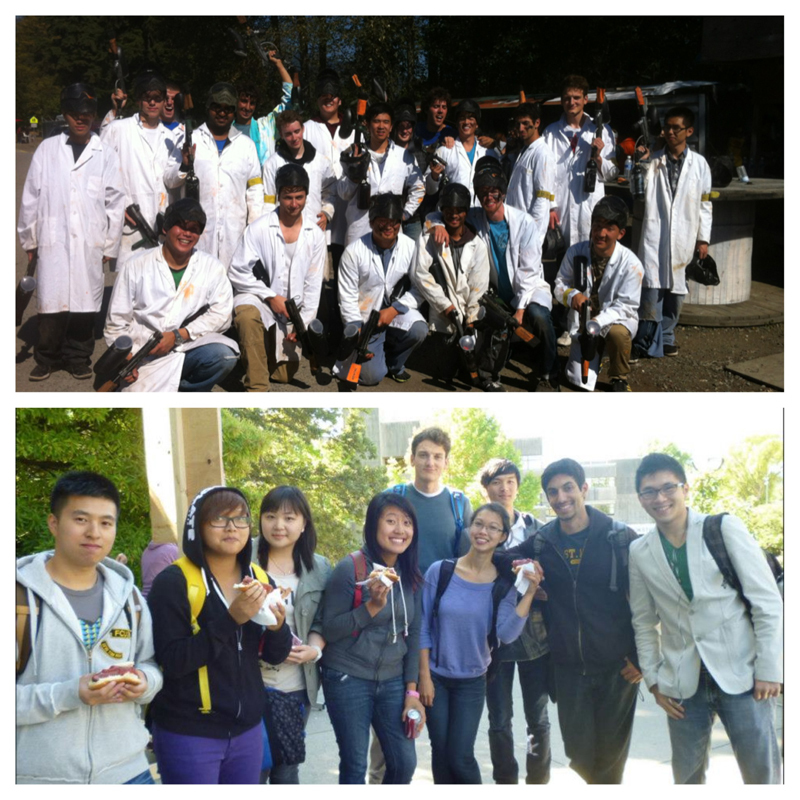 Besides competing at UBC REC Events, MISA also competed against other Science clubs. While BIOSOC and MISA have a strong relationship, there isn’t anything better than a good old fashioned sports rivalry. MISA and BIOSOC collaborated and challenged each other to a basketball game in what we called: MISA vs. BIOSOC – For Nerd of the Game. 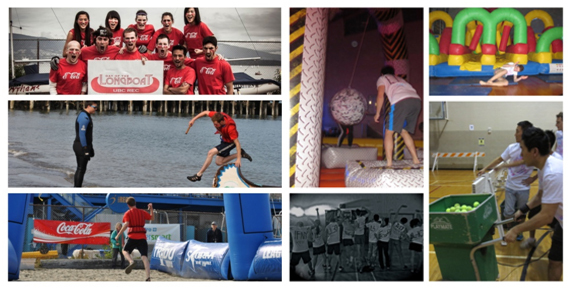 Both teams competed with passion and pride to produce an epic event. Again, check it out on our youtube channel! flavour you’re enjoying might only be “natural” because an engineered bacteria made it and not an organic chemist. In reality, synthetic biologists aim to determine whether we can design, build and test biological systems using principles adopted from traditional engineering fields. While the prospect that perhaps one day we’ll be able to program organisms much like we can do with integrated circuits is exciting, we’re still in the early stages and just beginning to figure out how to put all the pieces together… and get them to work together. The workflow in synthetic biology is simple: design a system based on standardized DNA parts (there’s even a Registry of Standard Biological Parts that catalogues their specifications), assemble these parts into a host organism, cross your fingers, and test whether it works. Recently, leaders of the field have got teams of undergraduate students involved by competing in the annual International Genetically Engineered Machine (iGEM) competition. 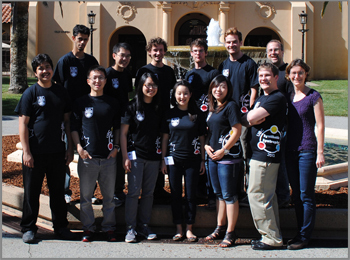 iGEM is a unique research experience in which teams dedicate themselves to an intense summer of designing and building biological systems. The goal is to produce organisms with new or unusual properties to tackle modern problems and evolve the field of synthetic biology. This experience leads students to think creatively about modern biology while gaining a wide range of technical skills. Outside of the lab, teams are also expected to complete a human practices component which includes assessing the ethical and societal implications of their technology, networking with industry professions and engaging in outreach activities with the local community. battle the Pine Beetle epidemic, and building co-dependant bacterial communities. This year, the iGEM team is based in the Hallam lab in the Life Sciences Center. 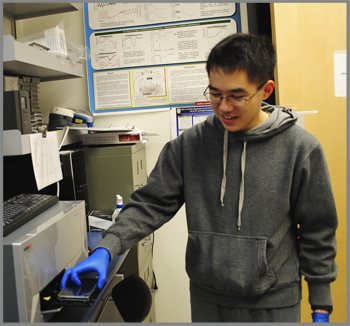 The continued success of iGEM at UBC relies on the generosity of the UBC community in providing intermittent access to research equipment, reagents and expertise and funding. 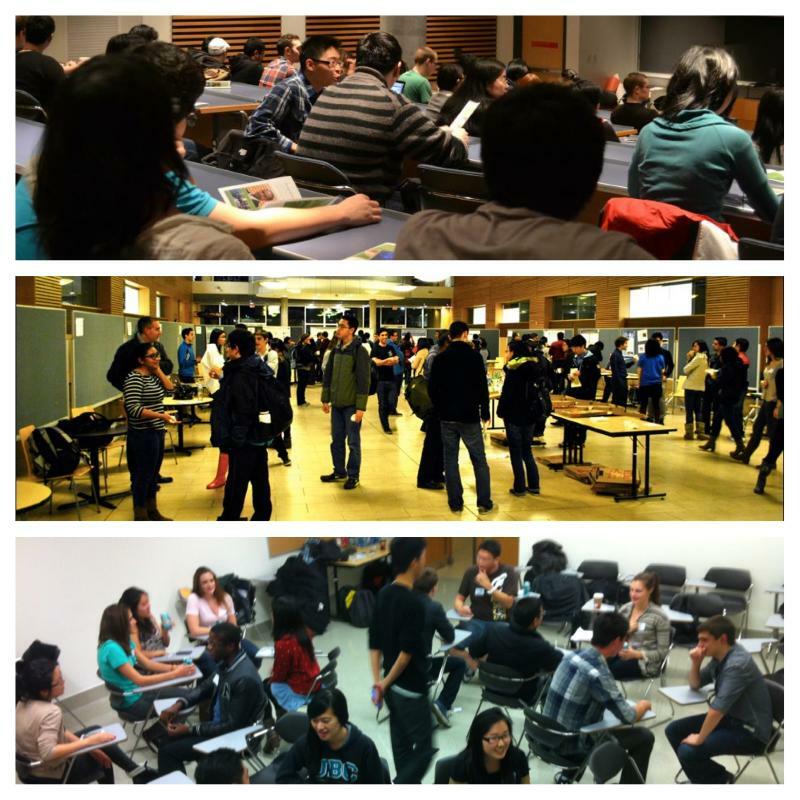 If you’d like more information, let us know at ubcigem@gmail.com. The Crowe Geomicrobiology lab opened in March 2013 on the 2nd floor of the Life Sciences Centre and also in the new ESB. So, what is Geomicrobiology? Broadly speaking, geomicrobiologists concern themselves with the role of microorganisms in geochemical and geological processes. 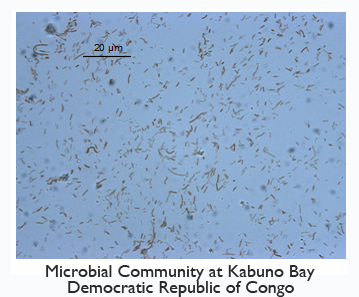 Microorganisms underpin Earth’s major biogeochemical cycles, which support and sustain life on our planet. This intimate relationship between microorganisms and their environments was forged deep in Earth’s history, perhaps some 3.8 billion years ago as revealed by isotopic signatures left in marine sedimentary rocks. Since that time, microbes and Earth surface chemistry have continued to evolve in concert, establishing a network of coupled microbial-biogeochemical feedbacks. Over geological time,microorganisms have catalysed dramatic changes in Earth surface chemistry, like the oxygenation of the atmosphere, which ultimately allowed the evolution and proliferation of aerobic life and animals. Exactly when and how microorganisms oxygenated the Earth is still uncertain, as are many of the important changes microbes have made to our planet. Geomicrobiologists are using new and powerful tools including transition metal stable isotope proxies, molecular biomarkers, and whole genome molecular clocks to search for clues in the geological and genomic records of Earth-life evolution.Now, during the Anthropocene, human activities rapidly alter many of the Earth’s well-balanced biogeochemical cycles, but can the microbial stewards of these cycles keep pace? This is another question at the forefront of geomicrobiological research. different to the oxygen-rich oceans of today, and though oxygen-free marine waters can still be found, these are invariably rich in hydrogen sulfide and not iron. This is due to the high abundance of sulfate in the modern oceans, which is converted to hydrogen sulfide in microbial respiration when oxygen is absent. Due to the rarity of extant iron-rich environments, we have a very poor understanding of how such ecosystems function,and therefore, we have little ecological context for microbial evolution throughout most of Earth’s history. To fill in this context, we are taking a transdisciplinary approach. We search the modern Earth for environments, such as unusual stratified lakes with iron rich waters, and examine microbial ecology in these analogues for the ancient oceans. We also study the physiology and genetics of iron-based metabolisms in the lab, and weconstrain ancient environmental conditions using geochemical fingerprints left in the rock record. 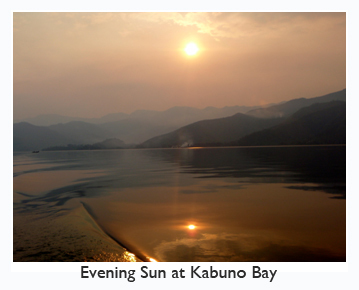 Combining these approaches opens a window into the ecology and physiology ofour ancestral iron-centric microbes. water to oxygen. Photoferrotrophs were likely important contributors to global biological production throughout much of Earth’s history and would therefore have played an important role in the evolution of the biosphere and Earth surface chemistry. Photoferrotrophs may also have been critical contributors to the deposition of Banded Iron Formations (BIFs), which are massive iron ore deposits that supply most of the world’s iron for steel. We are optimistic that physiological studies of our isolate will yield new clues into the roles photoferrotrophic bacteria played in Earth evolution. The genome of our isolate is currently being sequenced in collaboration with Steven Hallam, and it will be very interesting to see what secrets we can uncover about the antiquity of photoferrotrophy and the possible metabolic capacity of these iron oxidizing Chlorobi. Kate Thompson will be starting her M.Sc. this summer to continue this work. We are also very interested in the role of microbes in the modern nitrogen cycle. As one of the great biogeochemical cycles, the nitrogen cycle intimately interacts with the carbon cycle playing an important role in global biological productivity and climate dynamics. Nitrogen indeed is the limiting nutrient for most continental and marine ecosystems. The nitrogen cycle has been severely altered by human activities, notably by the transfer of abundant nitrogen gas from the atmosphere to soils and water through the production of ammonium using the Haber-Bosch process and its application to soils as fertilizer. Once in the environment, ammonium is oxidized to nitrate, which is mobile and accumulates in streams, lakes, and the coastal ocean leading to harmful algal blooms and eutrophication. The most important natural sink for this fixed nitrogen is by microbial conversion of nitrate back to nitrogen gas through a combination of canonical denitrification and the recently discovered anammox process, which isconducted by a group of Planctomycetes who generate rocket fuel as an intermediate. There is, however, a microbial short circuit in this part of the nitrogen cycle that leads to a recycling of nitrate back to ammonium. This dissimilatory reduction of nitrate to ammonium (DNRA) is poorly understood, but it may operate to maintain nitrogen in waters, soils and sediments limiting its transfer back to the atmosphere. This, of course, has important implications both for the management of fertilized agricultural land and the mitigation of nitrate contamination in our waterways. Ph.D. student Celine Michielsis working hard to learn what regulates the activity of DNRA in natural marine and terrestrial environments as well as in engineered ecosystems, including wastewater treatment facilities. As our lab grows we are looking forward to collaboratively explore new directions in Geomicrobiology, such as the interface between minerals and the human microbiome or the role of pathogens in biogeochemical cycles. 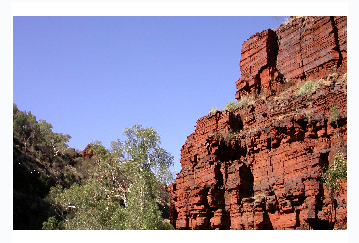 Outcrop of the Hamersley Basin banded iron formation, among the world’s largest iron ore deposits, and possibly formed by photoferrotrophic bacteria (Photo courtesy of Simon Poulton, University of Leeds). 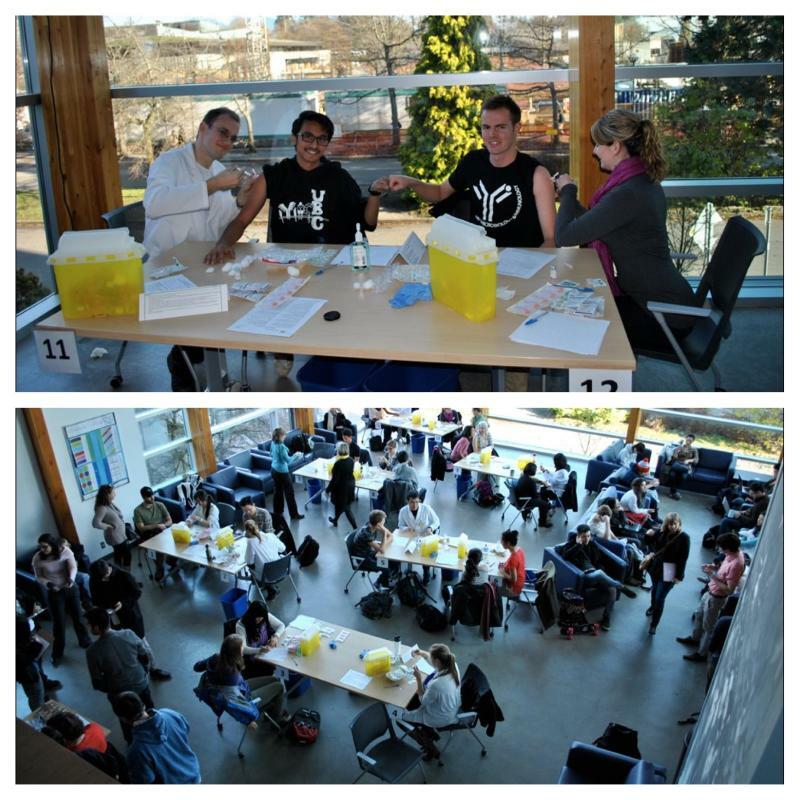 We are proud to say that we have initiated the first Influenza clinic hosted by a student organization. We gave over 250 vaccinations to professors, staff, and students. Be sure to look for us next year for your vaccination! Our department has always shown MISA a tremendous amount of support. Evidence of this is their donation of a room in Wesbrook which we turned into MBIM’s very first student lounge. 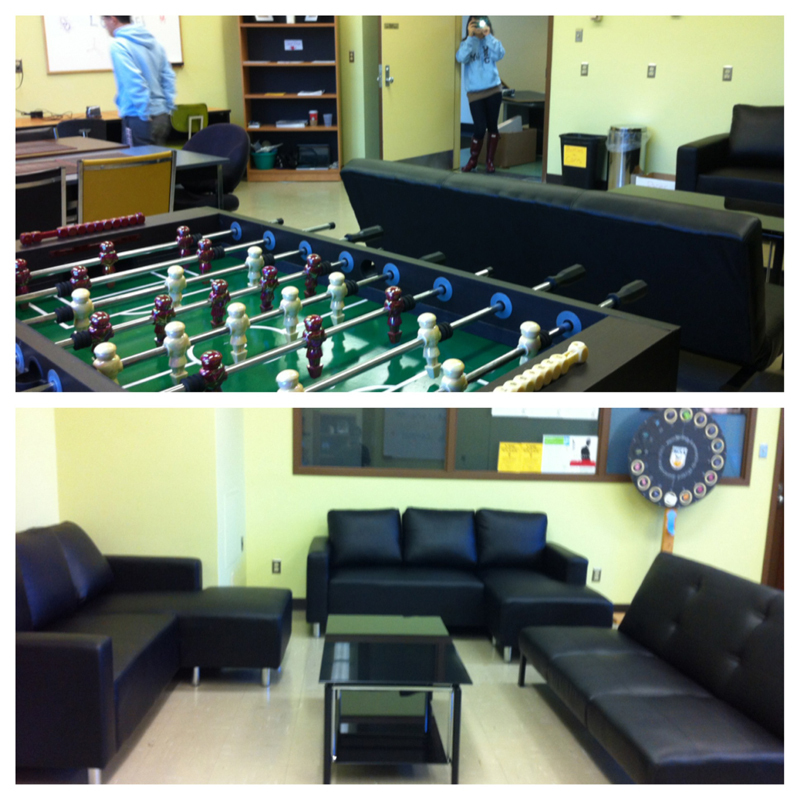 With three leather couches, a microwave, a fridge, tables, and yes, TWO foosball tables, this is a place for all you nerds to escape and get away from the stresses of school. It is important to MISA that we contribute to the community in any way possible. A part of this is raising awareness and funds for various charitable initiatives. This year, we supported Movember. A team of 12 MISA students grew their moustaches to raise money and awareness for prostate cancer. After one month of fundraising, we are proud to say we raised over $2100. We look to support this and more charitable initiatives next year! Our academic events such as our Undergrads Guide to Research gave our students the opportunity to see first hand what the research life entails. Various workshops allowed them to listen to professors and students talk about their experiences in research. Other workshops allowed students to learn how to talk to professors about research positions, how to get NSERC grants, or how to get into co-op. The night was capped by a mix and mingler which saw professors and graduate students come down and share a bit of pizza while they talked about their work – a perfect opportunity to network for our students. Our other academic event, 4th year and beyond, saw various MBIM alumni with different career backgrounds such as law, medicine, research, and public health sit at a round table with students and answer questions. We wanted to show that with an MBIM degree, there are various opportunities out there that our students may not have known about. Finally, we initiated MISA’s first mentorship program which saw over 20 1st and 2nd year mentees and 20 3rd and 4th year mentors come together and bond. Our goal was to give our 1st and 2nd years the support and advice they need in planning out their future. Lastly, but certainly not least, we had the most successful and meaningful spring/graduation banquets ever thrown. Oh, and did we mention, it was on a BOAT! 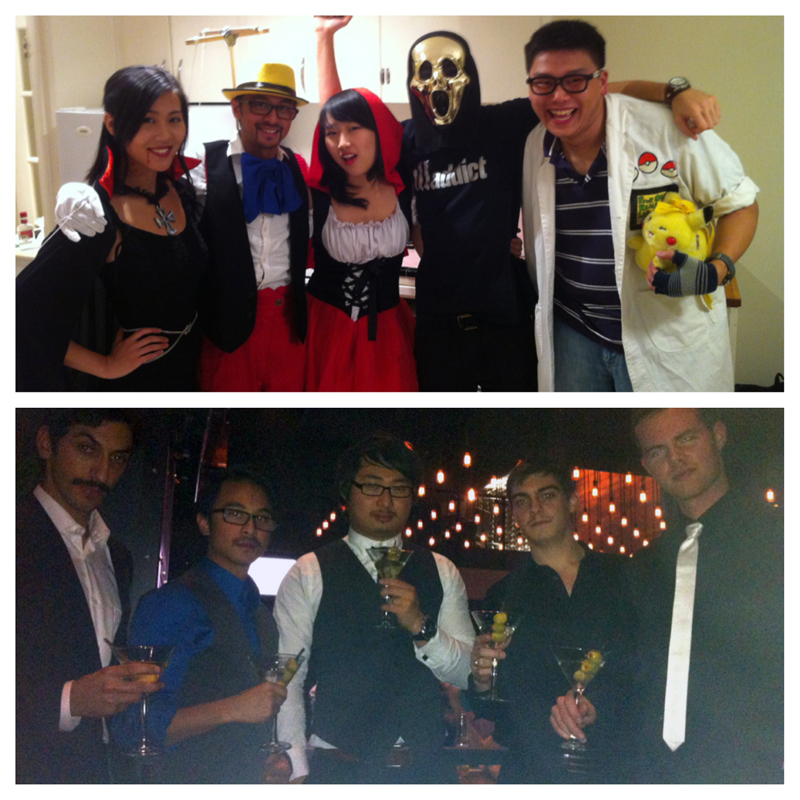 This night was full of memories, laughter, and a whole lot of dancing… from both students AND profs! We also initiated MISA’s first annual awards ceremony. We gave out an award of dedication for students to Dr. William Ramey, and an award for teaching to Dr. Kenneth Harder. This banquet has become more than just a party – it’s a meaningful event that has students, faculty, and professors come together in celebration of the year. MISA takes pride that we accomplished all this as a team, moreover, as a family, dedicated to each other. We worked hard with purpose – to create the most unforgettable year for the students full of opportunity and passion. What made us strong is our faith in each other. It wasn’t always a smooth road, but nothing worth accomplishing ever comes easy, and we only get stronger and better through learning. I couldn’t be more proud of this fine MISA executive team. And as this year comes to a close, we definitely look forward to the next year and to the next MISA team. MISA and MBIM could not be in better hands as the new executive team carries on the MISA legacy and the MISA experience. The most important people MISA will ever thank for such an incredible year are our students. 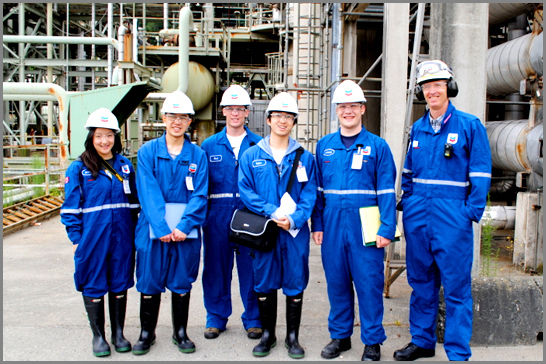 We truly believe that MBIM produces the most passionate and dedicated bunch of students. MISA couldn’t be anything without your consistent support. For all you incoming students next year, we truly endeavor to become a member, get involved, and enrich your student experience. Be proud of the program you are in. Be proud to be MISA.